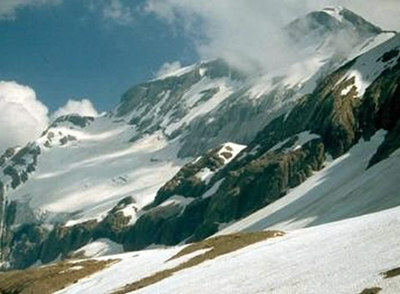 Another study has highlighted the likely disappearance of the glaciers in the Pyrenees in the next 40-50 years. 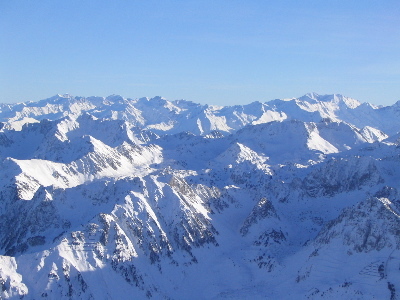 Since the first study by French geographer Franz Schrader in 1894, the Pyrenean glaciers have lost 88 percent of their 1,779-hectare surface area, according to a report by the Spanish Ministry of the Environment. Low rainfall and the rise in temperatures is leading to their rapid melting, and it is estimated that by the middle of the century, they will have vanished altogether. 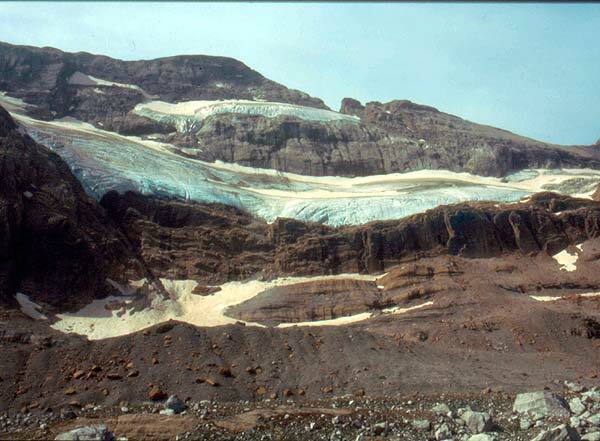 This has accelerated in recent years with the glaciers losing 72 hectares between 2002 and 2008. One of the most striking examples is that of La Madaleta glacier, one of the largest in the Pyrenees, whose thickness has shrunk by 180 metres since 1991 at an average rate of 11 metes a year. The absence of snowfall in summer in recent years has exacerbated this regression. Lower snowfall is also likely to spell long-ter, disaster for the skiing industry. Another update on brown bears in the Pyrenees. The population of bears in the range has “stabilised” at 20 individuals, of which only two (old) males and one cub belong to the autocthonous “group of Pyrenean bears. The remaining bears are those introduced from Eastern Europe in 1996, 1997 and 2006, or are cubs of these animals. In Catalonia, in the last year at least 12 bears have been recorded passing some time here, and as some of these are now cubs, we can now begin to talk about a second generation growing up since the reintroductions began. A sign of the increased activity of bears is the first recording of a bear In the Vall d’Arán for a number of years. Watch the video of a female bear being followed by a male here. Both have recently awoken from hibernation. I’ve been invited by Josele J. Saiz to stay a couple of day at his Boletas Birdwatching Centre in the Sierra de Guara in Huesca. More on him soon. While there I hope to talk to Oscar Dí­az of the Fundación Quebrantahuesos (English) as part of research for the book. FCQ, one of the most active wildlife groups in the Pyrenees, works in the conservation of lammergeyers, but also in the conservation of the Pyrenees in general. 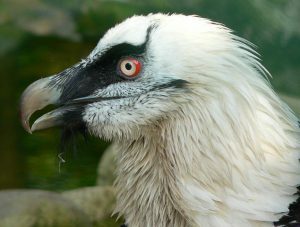 I’ve been doing a bit of background reading on the lammergeyer or bearded vulture. What an utterly remarkable bird this is. This is the world’s only bone-eater. 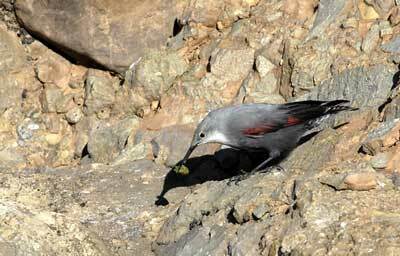 They feed on marrow which they get by dropping bones repeatedly onto rocks, as their Spanish name, quebrantahuesos, aptly suggests. 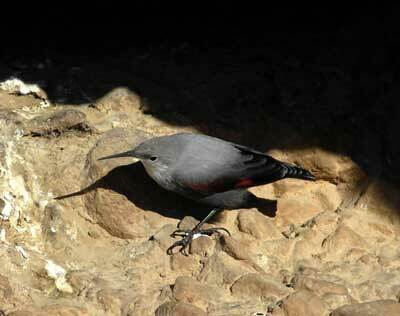 They’ll come back again and again to their favourite rocky areas known in English as ossuaries. The evocative English Lammergeier or Lammergeyer (both correct) comes from the German, lammergeier, meaning “lamb-vulture“. This was apparently coined by 19th century naturalists due to the mistaken and incredibly widespread belief across Central Europe that they would take young lambs. They are also known in English as bearded vultures. This is in reference to the ochre ruff of quills they sport around their necks. They are not born with this colour, but acquire the colour by actively seeking out iron-rich muds and rubbing their feathers in them. One theory goes that in a stand-off, the redder the feather, the tougher the lammergeyer, though I need to check this. The female lammergeyer lays one egg, and then a few days later, lays another. The second chick plays the role of a substitute if the first egg fails to hatch. In most cases, the second chick dies, despite the efforts of its parents to feed it: the older sibling is stronger and takes its food. And then, when the right moment arrives it will kill its brother or sister. This is known by biologists as Cainism, the advantage being that if the first chick fails to hatch or dies young the second chick is at hand. Some of these second chicks are now being rescued are used as part of a captive breeding programme in Andalucia. â€¢ Unusally, reproductive units can be comprised of two or three adults. Groups of three appear to be more common that thought. In the latter case there usually are two males and one female, although exceptionally reproductive units made up of four specimens have been observed. The members of the group mount each other as part of a bizarre mating simulation, male on male and female on male.